This is my contribution for the Flower Fest A-Z for the letter Z. 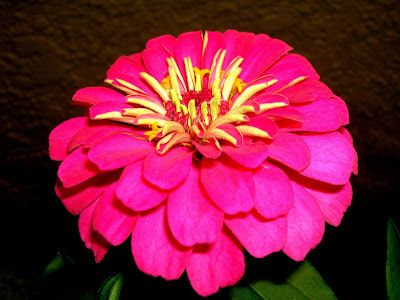 This is a picture of Zinnia that I grow in my Patio. These are very very bright colored flowers and looks very catchy and beautiful. innias are true American natives that originated from the Southwest US, Mexico and Central America. The original was a purplish wildflower that grew in the Mexican deserts. Hybridizers have turned it into one of the most popular bedding plants. Zinnias grow to between 6 and 40 inches in height with single and double blossoms varying in diameter from less than an inch to 7 inches. The petals can be any of a wide range of colors or multicolored. 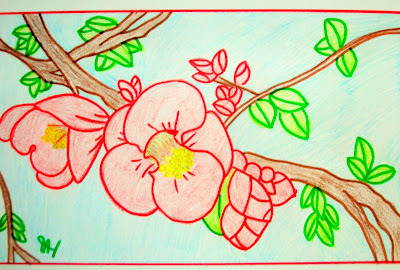 This is my contribution for the Flower Fest A-Z for the letter Y. These Yellow Day lily flowers are growing abundantly in our apartment complex. 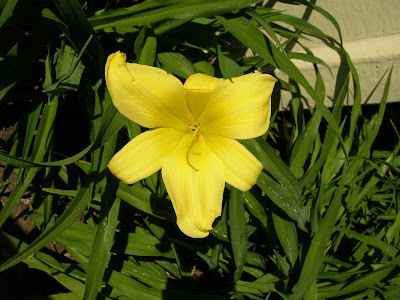 The leaves of the Yellow Day Lily Flowering Bulb grow vigorously to over two feet long, arching like grass. Blooms of the Yellow Daylily Flowering Bulb begin from mid-May and continue forward. This Yellow Day Lily Flowering Bulb measure six inches across with petals that reflex backwards gracefully. These are wild growing, massively fragrant multifloras that bloom buckets of five petaled white flowers in late spring and early summer. This is my contribution for the flowerfest A - Z for the letter V.
This is a picture of a Periwinkle, popularly called Vinca Minor. I found these pretty flowers in my Apartment Complex. 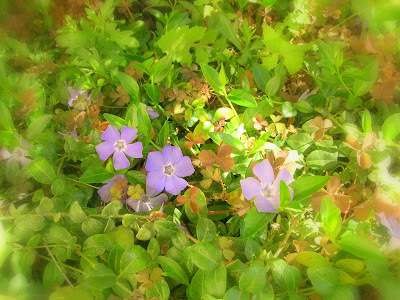 Vinca Minor, Periwinkle is a good groundcover for shady landscapes. This is my contribution for the Flower Fest A to Z for the letter S.
This is a picture of Spider Lily captured in San Diego. The leaves of Spider Lily grow in 6 leaf clusters and are present in spring but are gone by the time of flowering in the summer season. The flower stem is about 2 feet high and each stem has several flowers. 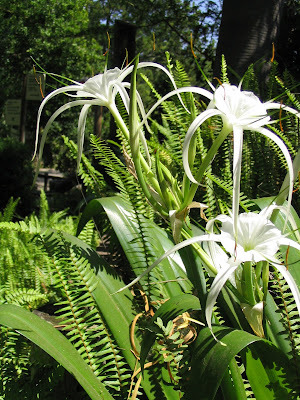 This Spider Lily is a relative of the Cahaba Lily (Hymenocallis coronaria) which grows in the Cahaba River. This information was extracted from Here. This is my contribution for the flowerfest A to Z for the letter R.
Rose is my favorite flower and this photo (logo for all my blogs) was shot in my sister's house. 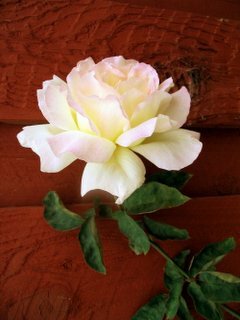 A rose is a flowering shrub of the genus Rosa, and the flower of this shrub. 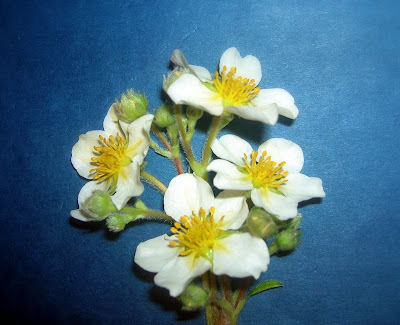 There are more than a hundred species of wild roses, all from the northern hemisphere and mostly from temperate regions. The species form a group of generally prickly shrubs or climbers, and sometimes trailing plants, reaching 2–5 m tall, rarely reaching as high as 20 m by climbing over other plants. This is my contribution to the Flower Fest A to Z for the letter Q. This is a Picture of a Japanese Quince. Medium: Outlined in Sketch Pens and Colored with Pencils. Its a Chinese ornamental shrub (Chaenomeles speciosa) having spiny branches, sharply serrate leaves, and red or white flowers. Click here for more details about the Japanese Quince.